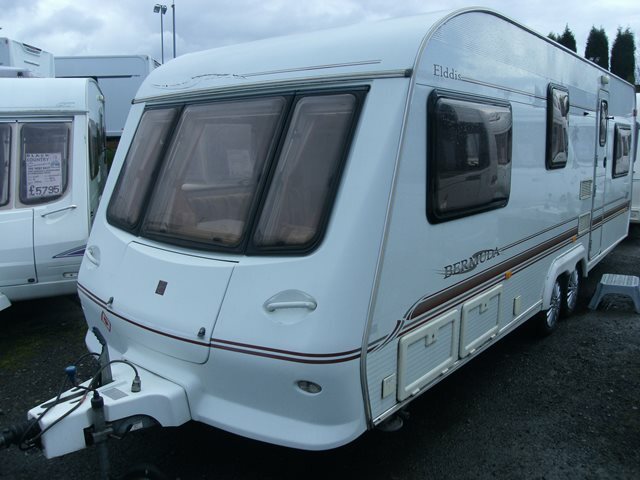 Our used Elddis Bermuda 630 is shown below, for more information please contact us. This Bermuda was a special edition caravan based on the Avante range from Elddis. It is a fantastic family caravan and will sleep up to six. The 630 is a double dinette layout with seating areas at both the front and back of the caravan which convert to double beds, the rear dinette also has two fold up bunk beds. As the Bermuda is a twin axle caravan it gives you that extra bit of space, which can be priceless in a family 'van. The 630 includes external BBQ point, full oven, grill & hobs, fridge, blown air heating, cassette toilet and shower. Come and take a look at our Cradley Heath depot. For further information please contact us on 01384 413336 and ask for a member of the sales team.